Color plays an important role in the way that we drive. The bright red of stop signs and traffic lights alerts drivers to brake. Green means go ahead, and yellow signs tell us to watch out for nearby hazards. If different colors can direct our cars' movements in the form of traffic signs and signals, could colors in other forms also impact how we drive? 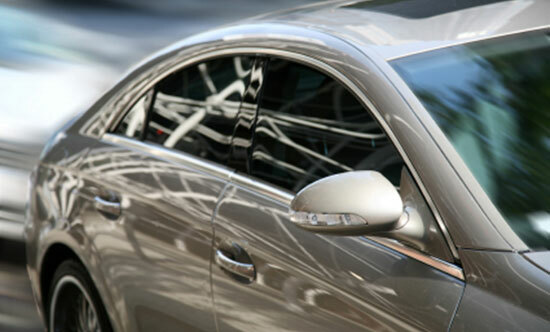 Since drivers mainly see their cars from the inside, we may not think about our own car's color often. 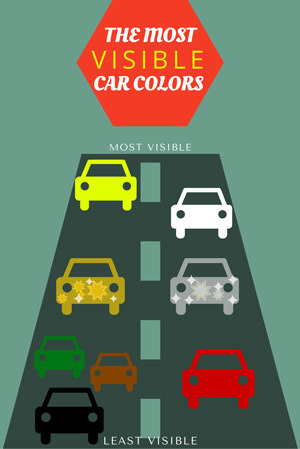 To everyone else on the road, your car's hue might be its most notable feature. New studies suggest that the color of your vehicle could affect how well other drivers are able to see you, which impacts your chances of being involved in a car accident. 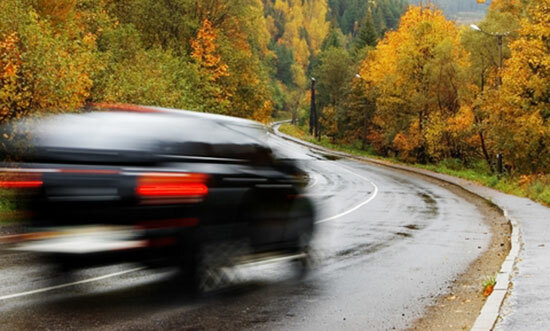 90% of the information used by drivers is visual, so it makes sense that one of the most common causes of car and pedestrian accidents is poor visibility. Just think about why joggers wear bright, reflective clothing when they go out for a run on the road: they do this to increase their visibility to nearby vehicles. Joggers in dark gray sweat suits may be harder to see than those dressed in head-to-toe neon. So, the colors of some vehicles are significantly harder for the human eye to see than the colors of others. Since 2006, white has remained the number one car color in North America. Those with white cars will be happy to learn that one study found these vehicles to be about half as likely as darker-hued cars to be "passively involved in an accident" (i.e., struck by other drivers who committed driving infractions). White is typically the most visible color at night, but if you live in a place where snow is common, white may be less visible during daylight hours. 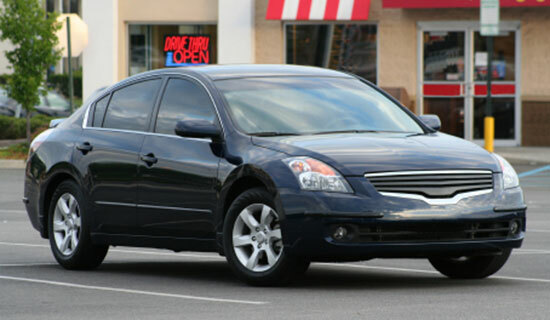 Unless you live in a snowy climate, black cars and those in similar shades like brown and dark green can be difficult for other drivers to distinguish against the sky and greenery in the environment—especially during nighttime hours. In one New Zealand study, black, brown, and dark green cars were twice as likely as vehicles of other shades to be involved in serious car accidents. Shimmering silver and gold cars are some of the shades of vehicles least likely to be involved in road collisions resulting in injury—although this can change depending on certain environmental factors. In a dessert climate, driving a shimmering gold car can be even more dangerous than driving a very dark colored car at night. Silver and gold cars can also become virtually invisible under extreme sun glare. This can be problematic as sun glare tends to be brightest during morning and evening rush hour, when most drivers happen to be on the roads. Since red is closely associated with racing cars and danger, we tend to think of red vehicles as being magnets for both traffic tickets and accidents, but there is currently no evidence to support this. Although red cars did not prove to be more dangerous than black, brown, green cars in studies, they still are not the safest shade on the road. Optometrists maintain that since red is on the edge of the color spectrum, it is one of the most difficult colors for the human eye to see. Our eyes also perceive red as dark gray or black at night, and in other low light situations, such as twilight. Bright, lime yellow is the clear favorite when it comes to the most visible vehicle hue. 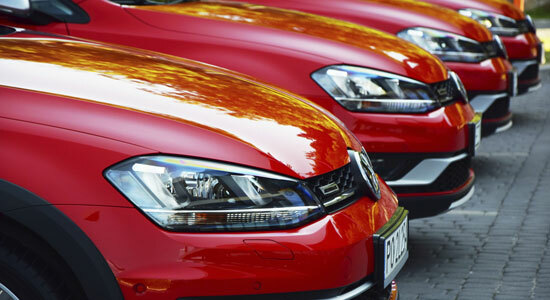 While this electrifying shade may be less-than-ideal for the average consumer car, optometrists and safety experts agree that instead of red, lime yellow should be used on emergency fire and rescue vehicles. Lime yellow falls directly in the middle of the visible color spectrum, and is therefore easiest for the human eye to see in any lighting conditions. 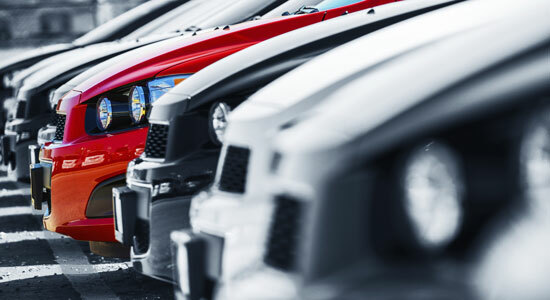 Ultimately, paying attention to the road and driving responsibly will make the most difference in determining your chances of being involved in an auto accident, but keep these car colors in mind next time you're shopping for a new vehicle. 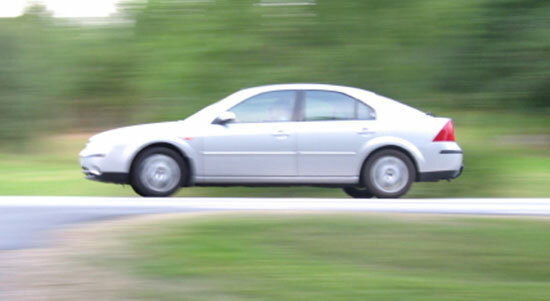 Sources: “Car Color and Safety.” Aaafoundation.org. September 17, 2015. “Car Color Facts and Fictions.” Edmunds.com. September 17, 2015.